Get new pics. 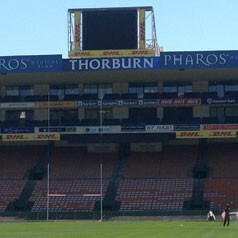 Newlands Rugby stadium has just been rebranded for DHL. All DHL branded material replaced. Rope access work. Vinyl application.